Publications – Springloop Cooperative U.A. Recycling Metrics Co-operative Research — Invitation to join! Springloop is joining with scholars and colleagues in the community of practice to research the different ways that recycling and re-use are measured, what goals and rates and targets mean, and to develop algorithms to convert one set of metrics to another. We will use the results to help emerging economies select the best approach to measuring and monitoring recycling and other forms of diversion from disposal. Please read the attached concept paper and let us know how you would like to participate! The European Union hosts some of the world’s most developed waste management systems and an ambitious policy commitment to the circular economy. 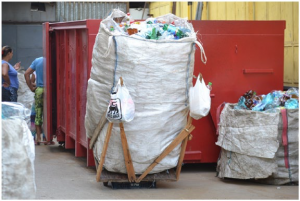 The existence of informal recycling and re-use activities in Europe has been vigorously denied until quite recently, and remains a very challenging subject for the European solid waste management sector, as well as for European government and private institutions. In countries ranging from Malta to Macedonia and from France to Turkey, informal recyclers excluded from legal recycling niches increasingly collide with formalised and controlled European Union approaches to urban waste management, packaging recovery schemes, formal re-use enterprises, and extended producer responsibility systems. This review focuses on the period from 2004 through the first half of 2016. The 78 sources on European (and neighbouring) informal recycling and re-use are contextualised with global sources and experience. The articles focus on informal recovery in and at the borders of the European Union, document the conflicts and collisions, and elaborate some constructive approaches towards legalisation, integration, and reconciliation. The overarching recommendation, to locate the issue of informal recovery and integration in the framework of the European circular economy package, is supported by four specific pillars of an integration strategy: Documentation, legalisation, occupational and enterprise recognition, and preparation for structural integration. A desktop study of the state of informal integration in North Africa and the Middle East indicated that the most dynamic examples of working with the informal sector were occurring in Morocco, Egypt, Tunisia and the Occupied Palestinian Territories. 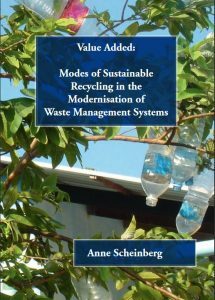 Dissertation of Anne Scheinberg, explaining various modes of municipal waste management systems examples with the emphasis on how the ecological modernisation of the waste management system appears to be leading to the emergence of a new model for institutionalised valorisation, provisionally called inclusive recycling. 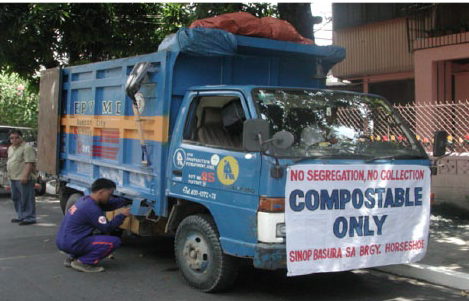 Inclusive recycling is a model for public sector acceptance of private value chain activities of valorisation. It is a model of shared ownership, risks, and benefits, where each set of actors does what they are best at. While it builds upon the techniques for participatory planning and stakeholder engagement, as well as on technical innovations for separate collection, processing, and environmental education that characterised the development of municipal recycling in the 1980s in OECD countries, inclusive recycling does not rely on the institutional reform of priced disposal. 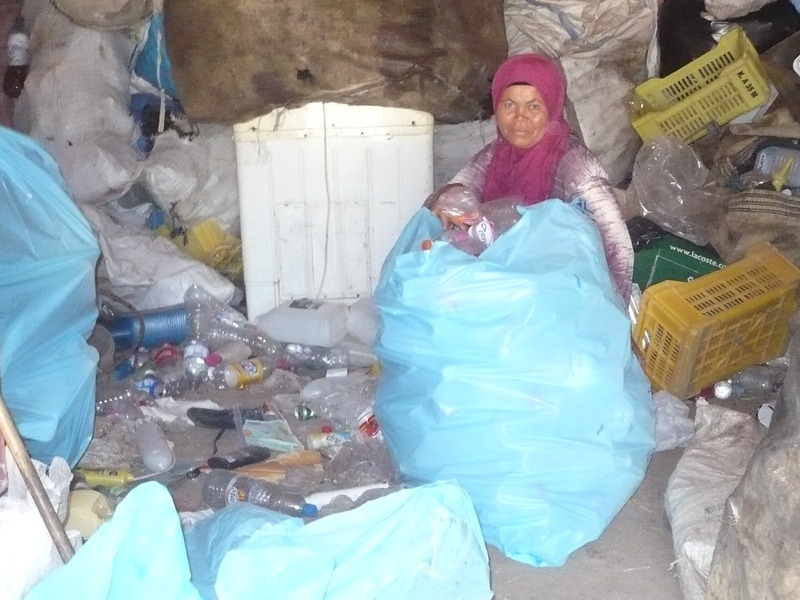 An analysis why performance and structure of recycling appears is so different in rich countries from poor ones and why well-meaning efforts to implement recycling so often fail. This article builds on these earlier works, focusing in on five cities profiled in the 2010 UN-Habitat publication (Scheinberg A, Wilson DC and Rodic L (2010) Solid Waste Management in the World’s Cities. UN-Habitat’s Third Global Report on the State of Water and Sanitation in the World’s Cities. Newcastle-on-Tyne, UK: Earthscan Publications). The points of departure are the institutional and economic relationships between the service chain, the public obligation to remove waste, pollution, and other forms of disvalue, and the value chain, a system of private enterprises trading valuable materials and providing markets for recyclables. A garbologist’s reflection of 15 years working at WASTE in Gouda, the Netherlands. Presentation Given for CordAid Urban Matters, March, 2011. Thoughts on ownership, sustainability and effects of development projects.